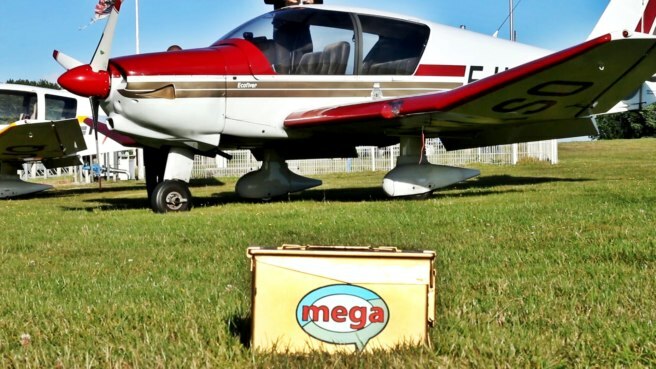 What is the “Golden Ammo Box” and why is it in a field of airplanes? 1. What is the “Golden Ammo Box”? The Golden Ammo Box started as a crazy idea. We’ve seen several trackable objects travelling from event to event, the O.C.B. being the most famous, and we thought, “Why not create a notebook with tips to help Mega-Event organizers?” We realized that a notebook would be too fragile, and then it came to us: what better protection than an Ammo Box? People are crazy about them to create caches so let’s use one. And then the “golden” idea appeared. It gives this item more importance and legitimacy; like it’s a little treasure. 2. Is that its official name? Yes. “The Golden Ammo Box.” It’s simple and descriptive. 3. 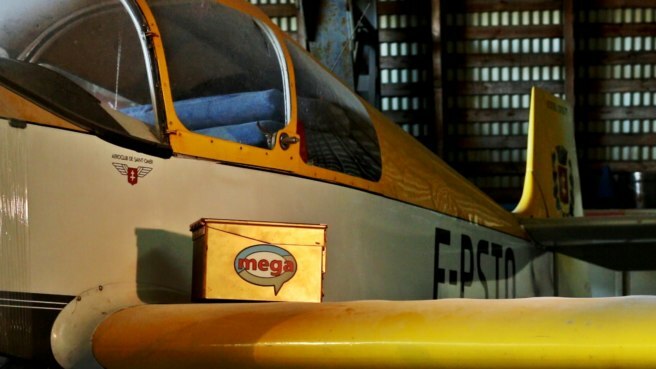 Does it only travel from Mega to Mega, or does it serve other purposes? Yes. It travels only travels from to and from Mega-Events in France. It’s like passing a baton. An organizer of the next scheduled Mega comes to the current event. The handover usually occurs on the first day of the event during Meet & Greet. It’s like passing the baton. Signal helping to pass the “Golden Ammo Box” to Lorena and Oriol at the GeoNord 2017 Mega. 4. When did the tradition start? It started last year at our GeoNord 2016. 5. Who officially owns it? I guess we do since we created it (the TB code is owned by -Ruby-), but all those who hold it take good care of it. 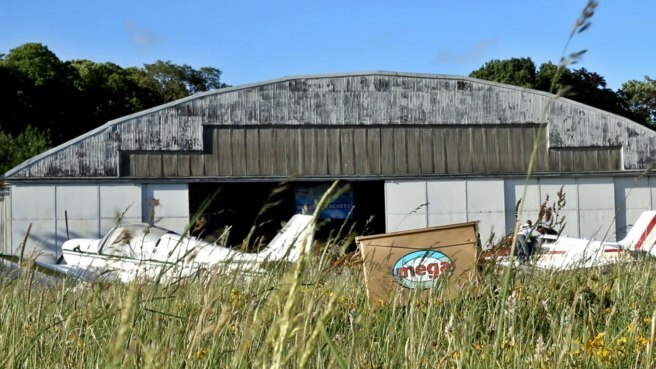 The theme for the GeoNord 2017 Mega was “air” and held at an old airfield. 6. Does it have suggestions, tips, tricks for all Mega hosts to be aware of? Yes! The ammo box contains the notebook with tips and tricks on how to organize a Mega, along with other items or coins to be tracked. Each Mega team must add something to help future events hosts. 7. Does it have a webpage? No, we’ve never thought about it but it’s a good idea! Yes! But you must come to a French Mega to get the code! The Golden Ammo Can is trackable, but you must attend an event to get the code. 9. What are the top 5 or 10 tips you’ve gotten from it? Don’t forget to find a big parking lot near the event location. 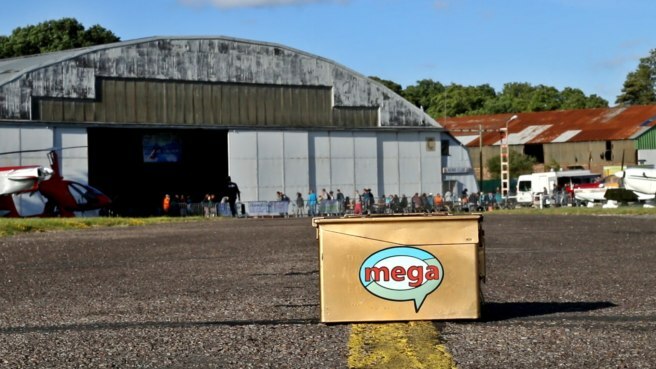 Don’t copy other Megas — be original and give your Mega its own style. Get along with other Mega organizers. Bad relationships and “wars” won’t help you. Activities, activities, activities. People must have fun if you want them to come back next year. 10. What tip or trick did you add? Good tips: Make logbooks memorable and create lots of activities for geocachers to enjoy. -Vainilla- and -Ruby- also created a wonderful 4.5 minute video highlighting their successful GeoNord 2017 – Oxygen Mega-Event last June. A great time was had by all! 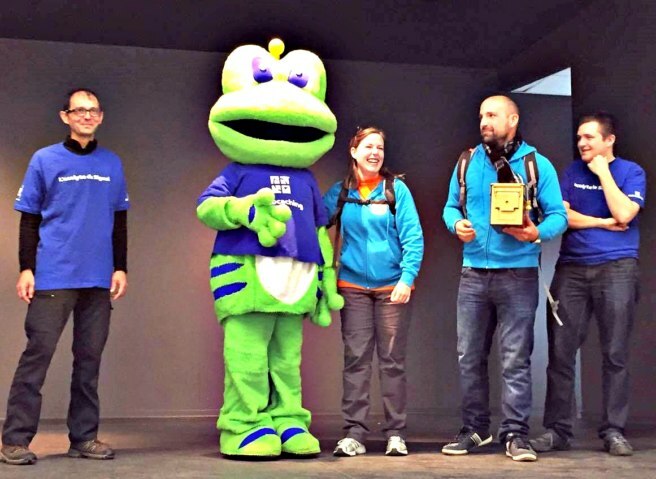 Got tips for hosting an event, hiding a geocache, or anything else? Share your thoughts!